You want to learn how to bounce back from adversity and leap towards opportunities. Easy as pie, right? Except that, like baking a pie, building resilience isn’t always easy. Good news! Like baking a pie (or quiche, or another layered dish that you love to eat), you can cultivate resilience by following a series of steps. You as the baker will bring your own unique flavor to the process and results. You’ll need a tried-and-true recipe. That’s where we come in! How can a recipe make resilience-building easy as pie? By breaking a complex task into simple steps! 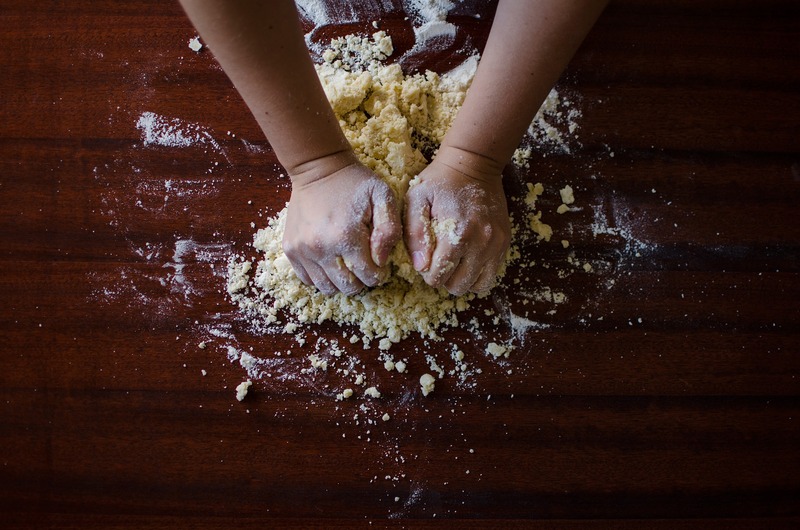 This month, you have the chance to recover from setbacks and reach out for opportunities – in other words, be resilient – in our Easy-As-Pie Resilience Recipe blog series. When you want to serve up delicious results, it helps to start with a recipe. When you want to build resilience – or cultivate any healthy habit – you begin with the foundational skill of self-awareness. Resilience Pie Recipe, Step 1: Cultivate self-awareness (make piecrust). Pie begins with piecrust. Resilience begins with self-awareness. Self-awareness is like a piecrust – you need to establish the first layer before you do anything else. Also like the piecrust, cultivating self-awareness yields the most satisfying and high-quality results when you do the work yourself. When you’re the one noticing your own patterns, you’re taking responsibility for how you are. Taking personal responsibility empowers you to point yourself towards who you want to be. Notice your body. Make note of (not judgments about) sensations within and on the outside of your body. Be as specific and neutral in your observations as possible. My heart is pounding, like I’ve been running fast. Notice your feelings. Make note of (not judgments about) emotions you’re experiencing right now. Your body sensations might help you clarify this e.g. clenched fists and flushed face often go with anger. Be as specific and neutral in your observations as possible. Notice the circumstances. Make note of (not judgments about) what factors might be most affecting you right now. Are you underslept? Hungry? Thirsty? In a loud room? Thinking about a deadline? Fresh from a fight with your mom? I had to wake up super early and coach yelled at me in front of everyone during practice. By naming and not blaming your sensations, feelings, thoughts, and situational factors in this moment, you lay the foundation – the piecrust – for self-awareness, which will be the heart of your resilience pie. Stay tuned for Step 2! Self-awareness is a great foundation for emotional resilience, Cypress! of course, it’s the first of four key “ingredients” in Daniel Goleman’s Emotional Intelligence model, and it’s the foundation of mindfulness/mediation work. So, it’s not surprising that it’s the crust of the pie!